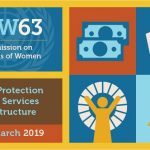 The Women In Migration Network sponsored a Side Event at CSW62 on the topic of Access for Justice for Rural & Migrant Women who are subjected to Sexual Assault. Recognizing that various forms of family exist. Upholding the principle of non-discrimination and fundamental freedom of migrants. Ending deportation to dangerous situations in home countries or third countries. Creating more channels for regular migration at all skill levels. Offering options for regulation of status for migrants in destination countries. Preventing and prosecuting gender-based violence in transit and destination countries. Sexual assault and violence in the workplace is a reality and leads to fear of deportation and retaliation. The Solitary Center is the largest organization in the United States that deals with safety in the workplace. They are also based in 20 other countries and do work in 60 more countries. They are involved with the Global Compact for a safer and orderly progression for workers through collective bargaining. The entire identity of the migrant workers is tied to their employer and their legal status. Violence in the workplace is a reality and their goal is to get rid of it. Two of the speakers were involved in a Freedom Fast and hadn’t eaten for days. The audience was asked to participate in a march that was taking place later that day. 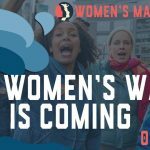 “Times Up Wendy’s March”. Marching to Wendy’s corporate offices to protest and boycott Wendys restaurants. Their slogan was “Breaking Our Silence To Stop Sexual Violence in the Fields”.